You must make reservations at least 5 minutes in advance of the time at Carl's Tavern. Immediately adjacent to front door at corner of Seventh & Yampa. Resort shuttle stop even closer - on corner by the alley! The Free Bus Service has a stop one block from our front door. Carl's offers on site and off site catering options. Let us discuss all options with you to customize your event. We are able to accommodate up to 175 people for a full restaurant buyout. Additionally, we have various areas of the restaurant that can accommodate groups from 6 people to 45. Our Antler Room is a private area with four large TV's with seating up to 45 people. DASHING GOOD LOOKS AND A COOL FOREIGN ACCENT. OH, AND HE COULD FLY TOO! THE ADVENTUROUS SPIRIT OF CARL HOWELSEN IS OUR INSPIRATION AND CARL’S TAVERN IS A PLACE FOR ADVENTUROUS SPIRITS TO CALL HOME. THE HOSPITALITY IS GENUINE. THE BEER IS COLD. AND THE FOOD IS MADE FROM SCRATCH. SO RAISE A GLASS TO THE MAN WHO TURNED WINTER INTO A PLAYGROUND, AND SKIS INTO WINGS. THEN GO AHEAD - RAISE ANOTHER FOR YOURSELF. WELCOME TO CARL'S. It's like I told ya, it's what I said... Steal your face right off your head! Excellent food, we ate here twice on our spring break ski vacation! Started off with some apps. Cornbread skillet and some loaded cheese fries “the business” ........ Dinner we had skillet ribeyes , wings , and wraps! All very good . This was our favorite place to eat out of all the Steamboat Restaurants! Recommend ! Thank you for the fantastic review. That 'Business' is a crowd pleaser. Fries loaded with melted cheddar, crispy bacon, green onions and ranch drizzled on top. Please feel free to reach out to us directly at info@carlstavernDOTCOM to share more details about your experience. We hope to see you again soon...CHEERS! Lovely ambience. We were there on Tuesday night for dinner which happened to be TUESDAY Prime Rib special for 19.99. When we got our dinner the prime rib was thin and did not look like a traditional prime rib. Very disappointed. It looked like a thin cut of ribeye which was over cooked. Would not recommend the Tuesday Prime Rib special. A couple positives... My nephew got the burger and loved it. 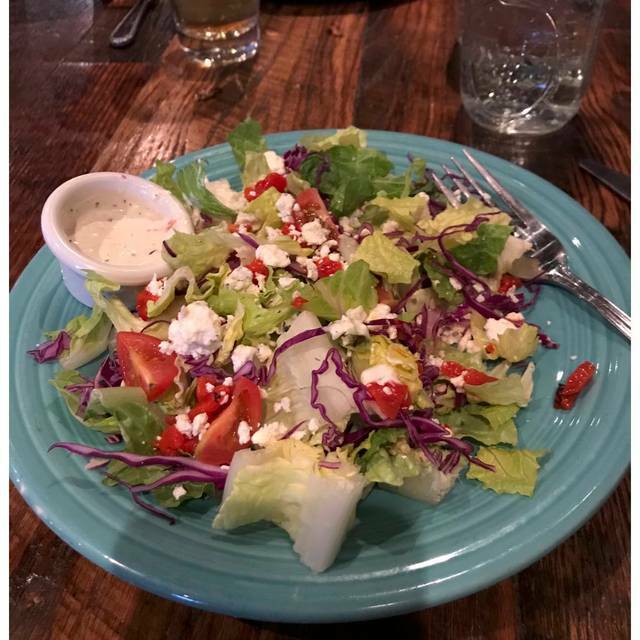 My salad was great too!!! My son loves the wings! The appetizers were good. Would possibly go back for drinks and appetizers. JamesC...We are sorry to see such a marginal review. Please feel free to reach out to us directly at info@carlstavernDOTCOM to share more details about your experience. This detailed feedback will help us to address the shortcomings that you have brought to our attention...CHEERS! We had the rotisserie chicken with smashed potatoes! Really good flavor! Appetizer cornbread skilled ........ very good! Huge piece of the chocolate cake, this thing could feed 4! Would recommend would go again , menu had ribeye steak , prime rib , bbq ribs and many other items i wanted to try ! We will return . Thanks for the review. Please feel free to reach out to us directly at info@carlstavernDOTCOM to share more details about your experience...CHEERS! We went to Carl’s to watch NCAA basketball & eat dinner. The food & drinks were awesome! The staff made us feel so welcomed, never rushed. We were in town on vacation & they made us feel like hometown customers. Look forward to going back again & again!! Thanks for the fantastic review. Please feel free to reach out to us directly at info@carlstavernDOTCOM to share more details about your experience...CHEERS! We appreciate the side note and will pass this on to our team. Great service! Brussel sprouts and the spicy burger were outstanding!! Fruition...Thanks for the fantastic review. The 'Punisher Burger' is a favorite of our owner as well. That 'Steal Your Face' sauce is certainly one to reckon with. Please feel free to reach out to us directly at info@carlstavernDOTCOM to share more details about your experience...CHEERS! The restaurant was loud and full of TV's. We had our kids with us & we do not prefer to have tons of TV watching at the table which was virtually impossible to do at this restaurant. The waiter kept selling things to the kids sodas/dessert and looking at them while talking not at the parents. He was not personable or friendly and was not working with us at all. Seemed to just want to make a sell. A good place to watch a game however not a great place for kids. Jennifer...We are sorry to see such a poor review. Carl's Tavern is a restaurant, whiskey bar and certainly one of the best destination sports bars in Steamboat Springs. We do sincerely apologize if you were soured by our service toward your children. We simply try to accommodate to the best of our ability, especially with families on vacation. Hopefully you have a change of heart and consider joining us again in the future. BradleyT...Thanks for the fantastic review. Please feel free to reach out to us directly at info@carlstavernDOTCOM to share more details about your experience...CHEERS! I had my daughter and two grandsons with me! (Ages 5 and 2)...Our server was fantastic. The food was just right for what we needed. Thanks for the patience and fine service! Marylee...Thanks for the fantastic review. Please feel free to reach out to us directly at info@carlstavernDOTCOM to share more details about your experience...CHEERS! Food was really good and reasonably priced. Bourbon selection was great. There were 12 of us with 7 kids and our waitress was incredible. She really made it a quick dinner without making us feel rushed. She was incredible. Thanks for the fantastic review. It looks like you indulged in our selection of 300+ whiskies. Please feel free to reach out to us directly at info@carlstavernDOTCOM to share more details about your experience...CHEERS! Carl's was a treat ... friendly staff and a good value. Proper pub! PaulM...Thanks for the fantastic review. Please feel free to reach out to us directly at info@carlstavernDOTCOM to share more details about your experience...CHEERS! Excellent food and service. We had 5 very happy people! Loveltalian...Thanks for the fantastic review. Please feel free to reach out to us directly at info@carlstavernDOTCOM to share more details about your experience...CHEERS! Thanks for the fantastic review. Please feel free to reach out to us directly at info@carlstavernDOTCOM to share more details about your experience...CHEERS! The food was exceptionally good, however the value in Denver dollars was poor. Seems everyone in Steamboat Springs charges more than $13 for a hamburger. Carl's takes it to the next level at $26 for their ultimate burger. Get serious. The downside to the evening was that, in spite of advertising a 10 oz. prime rib Monday - Thursday and any time, the server disavowed knowing anything about it. The ad was in a Wyndham hotels coupon book (it was not a coupon) provided as part of our stay at The Villages. Dining out in Steamboat is expensive, but since the restaurants and bars were all packed to the rafters, the problem is obviously ours, not theirs. We're just in the wrong socio-economic class. We'll leave Steamboat to the snobbish elite and ski somewhere else. Janie...OUr prices are quite fair here at Carl's Tavern. Our Burger is an 8oz Kobe Beef Burger and the $25 Burger you are mentioning is a Double Diamond, which is a one pound Kobe beef burger. Quite worth the price If you do some research...we are very serious!!! Our Prime Rib night is every Tuesday where our $29 prime rib is $19.95. Perhaps your coupon is dated. Steamboat is a very humble locale and we provide great value through out the town and resort. Cheers! Good food not great, Friendly server but slow, Great atmosphere. Quality seems to have declined over the last year, menu options limited. Ldybug07...We are sorry to see such a marginal review. Please feel free to reach out to us directly at info@carlstavernDOTCOM to share more details about your experience...CHEERS! Fantastic family dinner! We were seated promptly, food came quickly and was delicious. Everyone was happy and we did not feel rushed at all. Something for everyone. Really fun! Food good,service good, table position rubbish. Our food was great but there was a birthday party for a 5 year old at the next table. The kids seemed to have little supervision. Made for a very noisy environment. Hi LornaM...Thanks for the review. That was actually me [the owner] sitting next to you. It was my child's 5th birthday. Our 5 year old son and his  friend sat in their seats for a full 90 minutes which even surprised both my wife and I. Although the entire restaurant was busy and noisy...we sincerely apologize if we disturbed your experience. Please feel free to reach out to us directly at info@carlstavernDOTCOM to share more details about your experience...CHEERS! I thought the food here was not great. They charged extra for many things that should have come standard - even the mustard! I did bring this up and the server took it off the bill but if not for my assertive skills, we would have overpaid. I thought the noise level was high. There are other options in Steamboat that would have been much better. Really busy. Felt rushed. Apps came before drinks. 6 wings for $15 I thought was expensive and they were not crispy for dry rub. They charged for extra ranch and extra hot sauce. Not the usual experience cause of ski crowds. We are very sorry to see such a poor review.... Please know that if you inform us that you would like a slower pace, we are happy to oblige. Otherwise, we try to keep things moving. If you received 6 wings you received 1 or 2 less than what we normally serve. 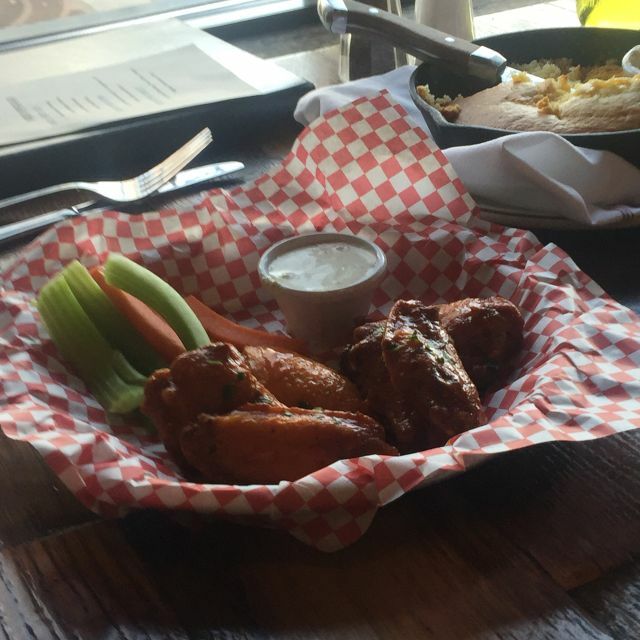 Our wings are 4-8 per pound. Yes, we charge extra for extra sauces. Please feel free to reach out to us directly at info@carlstaverndotcom to share more details about your experience...CHEERS! Four of us had dinner with you. All had burgers that were fabulous. Service was great . It was noisy but we were in a "quiet" corner table so we could still chat. Steve...Thanks for the fantastic review...please feel free to reach out to us directly at info@carlstaverndotcom to share more details about your experience...CHEERS! Fun casual place. Would be a good place to watch sports. CindyD...Thank you for the review. We are the go to spot in town for watching sports with over 20 TV's. Please feel free to reach out to us directly at info@carlstaverndotcom to share more details about your experience...CHEERS! I recommend Carl's Tavern to everyone I know going to Steamboat. Great food, service, and vibe. Always have to have the Morningside Burger, Tavern Fries, and Tavern Wings with none other than the dry rub sauce. Can't be beat. Kelcey...Thanks for the great review. We appreciate your loyalty and your love for our menu items, especially our Dry Rub! Please feel free to reach out to us directly at info@carlstaverndotcom to share more details about your experience...CHEERS! Great pub, everything as advertised. kyle454ss...hanks for the fantastic review...please feel free to reach out to us directly at info@carlstaverndotcom to share more details about your experience...CHEERS! Table was ready as soon as we arrived. We were a party of six, so we were a little concerned when they seated us at a booth, but were pleasantly surprised by the over all size of the booth. There was ample room for all. Littlefox01...Thanks for the great review. Please feel free to reach out to us directly at info@carlstaverndotcom to share more details about your experience...CHEERS! We hit happy hour. Great apps - corn bread and “the business” only had room for a wonderful salad to split for dinner. Huge bourbon selection. LisaR...Thanks for the great review. It looks like you may have indulged in our selection of 300+ whiskies. The Cornbread wins the local competition annually and the Business is a popular menu item with bacon lardons / fresh scallions / melted cheddar and ranch on our house fries. Please feel free to reach out to us directly at info@carlstaverndotcom to share more details about your experience...CHEERS! Great Tavern food and excellent cocktails. Jordan was an excellent server. Very attentive and knowledgeable about the menu. The bourbon selection is the absolute best, even if a little pricey. Resortist...Thanks for the great review. We will share your comments with Jordan. He is a rock star. We hope you had a chance to indulge in some of our 300+ whiskies. Our Weller is priced at $12 and our Buffalo Trace is our Well at $8 and $4 at happy hour. Please keep in mind that all of our pours are 2 ounces rather than 1.5oz. Please feel free to reach out to us directly at info@carlstaverndotcom to share more details about your experience...CHEERS! AngelaP...Thanks for the great review...please feel free to reach out to us directly at info@carlstaverndotcom to share more details about your experience...CHEERS! Good food, and comfortable environment. We just had a poor server. I would definitely go back. John...Thanks for the great review...please feel free to reach out to us directly at info@carlstaverndotcom to share more details about your experience. Please let us know who your server was and why the service was average...CHEERS! gldb...Thanks for the great review...please feel free to reach out to us directly at info@carlstaverndotcom to share more details about your experience...CHEERS! Mary33...we are sorry to see such a marginal review...please feel free to reach out to us directly at info@carlstaverndotcom to share more details about your experience. Please include more details about the food and value....CHEERS! We want to Carl’s on a Tuesday night, specifically for the Prime Rib special. Potions were ample and cooked perfectly. The ambience is very casual. On the night we were there, it seemed that there were mostly locals there. 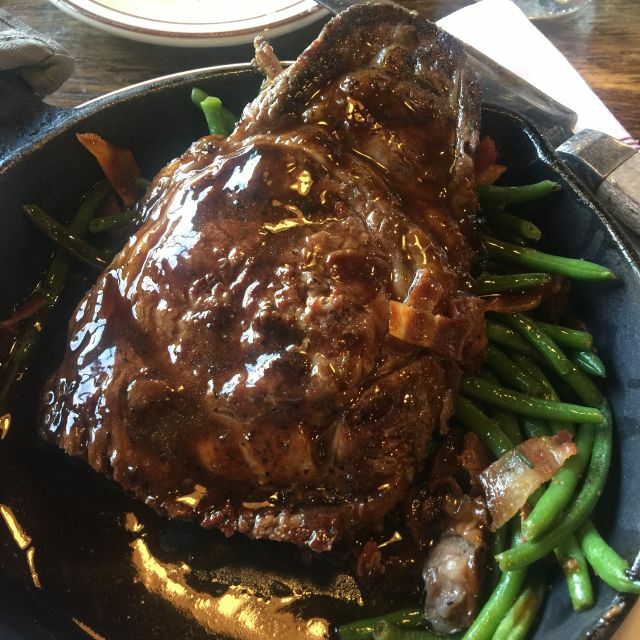 Being on the Keto diet, there were not a lot of side dishes that were appropriate for us, but the large slab of beef fit the bill. The prices in the regular menu seemed high, but the $19.95 Prime Rib special was a good deal. We would definitely go back. MuiBouffant...we are sorry to see such a marginal review inspite of the fact that you seemed to enjoy your experience. Our Prime Rib is the least expensive in town compared to Ore House, E3 and 3 Peaks. Tuesday finds locals who know that a 12oz cut for $19.95 is an amazing deal. We are always open to guests calling ahead with dietary restrictions so we can accommodate. Please feel free to reach out to us directly at info@carlstaverndotcom to share more details about your experience...CHEERS! They need to update their website to match the prices on the menu in the restaurant. The website is cheaper! PamC...Thanks for the review...please feel free to reach out to us directly at info@carlstaverndotcom to share more details about your experience...CHEERS! Last year, I would have recommended Carl's. We have been going there twice a year for about 6 years and loving it. The food has changed. The atmosphere was not what it was. We were seated at our table for about 15 minutes before anyone approached our table. Our waiter was nice and apologetic, however there was a host and hostess who were chatting as we waited for service. I had listed "anniversary" as special occasion and it was never mentioned.... and actually my food was so disappointing that I just wanted to get out of there anyway. The cornbread was boring. The avocado on my chicken sandwich was paste not avocado... that should be listed as "spread" not avocado. We were bragging about the fried chicken to a friend and found it was not longer there. The food was just average at a high price. I had a better meal at the Steamboat Airport. Oh.. the wine was good. We arrived on time for our reservation and still had to wait 25 minutes to be seated. JoannaB...We are sorry to see such a poor review...Yes, your reservation was on one of the busiest nights of the year. The fireworks show taking place across the street from us 15 minutes prior to your reservation caused the 'entire' restaurant to clear out as guests watched the show outside. This led to a delay in seating guests after the show. Our Apologies for the delay. Feel free to reach out to us directly at info@carlstaverndotcom to share more details about your experience...CHEERS! If you love Whiskey, Carl's has an extensive Whisky list and this is the place for you! Snow...Thanks for the review...With over 300+ whiskey selections, we have just about something for the discerning aficionado. Please feel free to reach out to us directly at info@carlstaverndotcom to share more details about your experience...CHEERS! Thanks for the review...With regard to the changing of reservations, our dining room only has a certain amount of table that can accommodate particular reservation sizes. The algorithm plugs in the table size and the time of the reservation along with the projected turn time of the table depending on the amount of people. Please feel free to reach out to us directly at info@carlstaverndotcom to share more details about your experience...CHEERS! We had a great time! Food was terrific as was the service. Goudadean...Thanks for the great review...please feel free to reach out to us directly at info@carlstaverndotcom to share more details about your experience...CHEERS! Food was great. Service was awesome. Thanks for the great review...please feel free to reach out to us directly at info@carlstaverndotcom to share more details about your experience...CHEERS!